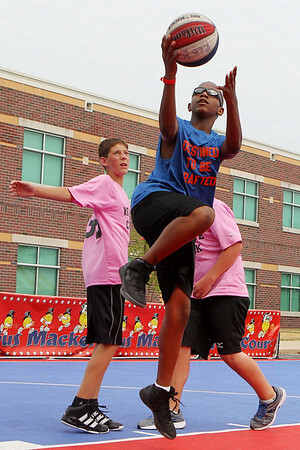 Mike Greene - mgreene@shawmedia.com Destined to be Drafted's Leroy Patterson Jr., 12 of Chicago, goes in for a layup while playing against We Love Chuck during the 2nd annual Gus Macker 3-on-3 Basketball Tournament at Marengo Community High School Sunday, July 1, 2012 in Marengo. 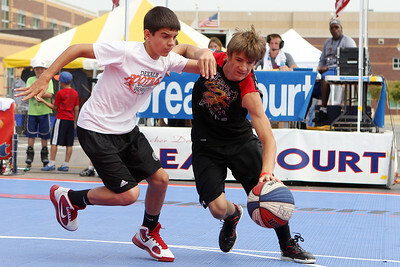 Mike Greene - mgreene@shawmedia.com Street King's Zack Knoblach (left), of Marengo, drives by Midwest All-Star's Tyler Sulaver, 13 of Sycamore, during the 2nd annual Gus Macker 3-on-3 Basketball Tournament at Marengo Community High School Sunday, July 1, 2012 in Marengo. Mike Greene - mgreene@shawmedia.com Fast Break's Ethan Ritter, 10 of Woodstock, drives while playing against Cagers during the 2nd annual Gus Macker 3-on-3 Basketball Tournament at Marengo Community High School Sunday, July 1, 2012 in Marengo. 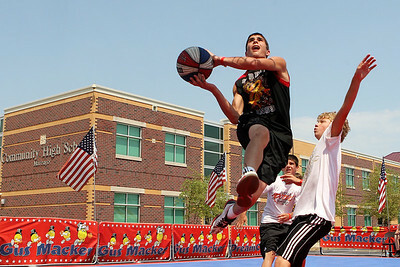 Mike Greene - mgreene@shawmedia.com Street King's Zack Knoblach, of Marengo, goes in for a layup against the Midwest All-Stars during the 2nd annual Gus Macker 3-on-3 Basketball Tournament at Marengo Community High School Sunday, July 1, 2012 in Marengo. 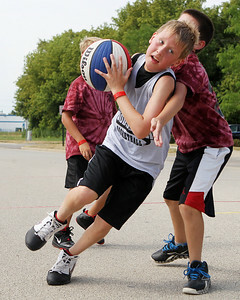 Mike Greene - mgreene@shawmedia.com Midwest All-Star's Derek Kyler (left), 13 of DeKalb defends Street King's Creighton Nice, of Marengo, during the 2nd annual Gus Macker 3-on-3 Basketball Tournament at Marengo Community High School Sunday, July 1, 2012 in Marengo. 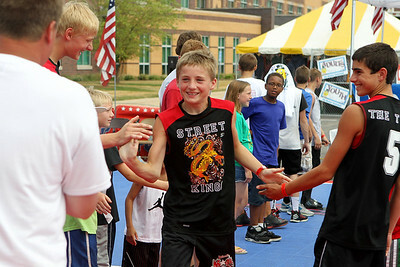 Mike Greene - mgreene@shawmedia.com Street King's Ben Volkening, of Marengo, high-fives teammates before playing against the Midwest All-Stars during the 2nd annual Gus Macker 3-on-3 Basketball Tournament at Marengo Community High School Sunday, July 1, 2012 in Marengo. 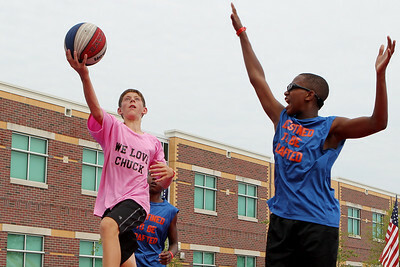 Mike Greene - mgreene@shawmedia.com We Love Chuck's Scott Slocum (left), 12 of Channahon, goes for a layup against Destined to be Drafted's Leroy Patterson Jr., 12 of Chicago, during the 2nd annual Gus Macker 3-on-3 Basketball Tournament at Marengo Community High School Sunday, July 1, 2012 in Marengo. 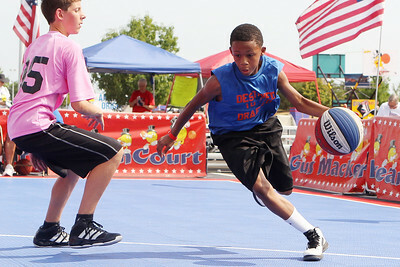 Mike Greene - mgreene@shawmedia.com Destined to be Drafted's Maurice Commander, 12 of Chicago, drives towards the hoop while playing against We Love Chuck during the 2nd annual Gus Macker 3-on-3 Basketball Tournament at Marengo Community High School Sunday, July 1, 2012 in Marengo.